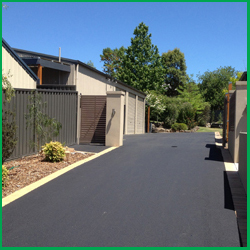 We provide the most cost effective, best value, asphalt driveways in Melbourne with the highest quality finish and guarantee the best customer service. An asphalt driveway is the affordable, attractive, and cost effective option for improving your property. Asphalt is a quality, flexible and versatile product, and an asphalt driveway can enhance and add value to your property. 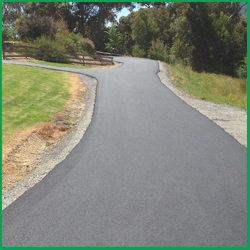 Nelson Asphalting has many years experience in the asphalting business, preparing and laying many asphalt driveways in Melbourne for satisfied clients. We use only quality materials and modern equipment we can prepare and lay a new asphalt driveway with the highest quality finish. We also guarantee you the best customer service with outstanding communications all along the way. 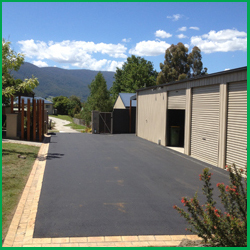 If you are looking for the best value, the best finish and the best service in Melbourne for asphalt driveways, talk to Nelson Asphalting for a no-obligation asphalt driveway quote. We service all Melbourne suburbs at competitive and affordable prices. With years of experience and a range of specialised asphalt repair equipment we can repair any asphalt surface. We also provide preventative asphalt maintenance measures including crack sealing to prevent water penetration and further degradation. We offer an emergency asphalt repair service including potholes and water asphalt repairs. Contact us for a free asphalt repair quote with a range of asphalt repair solutions and options. For further details about our full range of asphalt services please see our asphalt services page. Want your questions answered about asphalt like, what’s an asphalt driveway cost or asphalt v bitumen, then visit our asphalt frequently asked questions page. View our asphalt gallery page for photos of asphalt driveways and projects we have recently completed in and around Melbourne.